The 2015 theme was based on an apocalypse in Toronto. Filmmakers were tasked to examine what could cause "the end of days" in Toronto and how the population can deal with such an event. 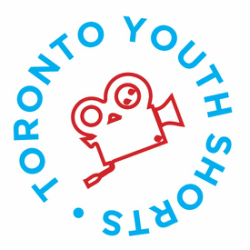 Thirteen teams of young filmmakers from across the GTA signed up for the 2014 T24 Project. Eight made it back on time with a completed film to compete for the Visual Thesis Award. 43 days after an unknown event that silenced the city, a man hopes to find someone to talk to. Anyone. A couple suddenly loses their libido in the middle of sexual coitus and they seek help. A lonely scientist who is desperate for friends and company takes in a stranger. On a barren night in a cold, industrialized future, one man wanders aimlessly. A power outage interrupts the daily lives of four disparate individuals, forcing them to come together. A new meme becomes a universal sensation but one man finds this joke to be more severe than it appears. Stuck in their house with very little food left, three friends try to get through the days without driving each other crazy. Soon their resources are depleted and they are forced to go outside if they want to survive. A woman keeps a video diary of her days after a hydro facility contaminates the water system, killing most people and leaving only a handful alive.